All Glendale homes currently listed for sale in Glendale as of 04/23/2019 are shown below. You can change the search criteria at any time by pressing the 'Change Search' button below. If you have any questions or you would like more information about any Glendale homes for sale or other Glendale real estate, please contact us and one of our knowledgeable Glendale REALTORS® would be pleased to assist you. "51 acres with near end of the road privacy just outside of Glendale, OR. Three homes adorn this property with a nearly endless water supply. A 60GPM well feeds all three of the homes, while a developed spring irrigates the pasture and feeds the pond, all while McCullough and Shepard Creek run year round through the land. Lots of possibilities with this property. Owner willing to carry. Appointment only, qualified buyers only." 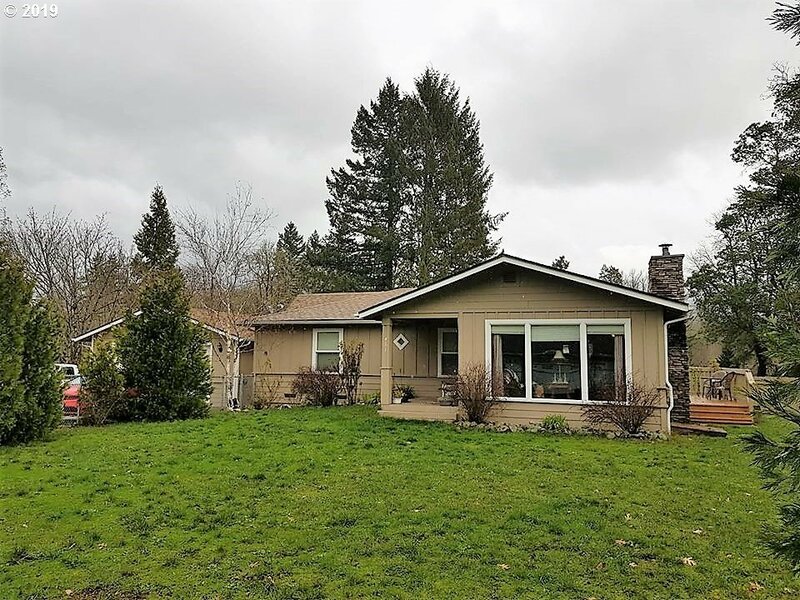 "Beautiful remodeled hm w/yr round creek + pond on great 77+acres awaits you!Just some of the improvements are flooring, paint, windows, kitchen,bath. Ask for amenities list no room to list it all= also there is cross fencing, creek, pond, barn, trails, 3 cottages also newer built in 2016- 2 w/Fastnet to keep you connected (in hm too) 1 w/plumbing +wdstove. Potting shed, 3 personal fenced yards, potting shed. This is the Oregon dream!" "Lovely 3 bedroom, 2 bath home. Plus family/bonus room. On 4 acres. Enjoy nature while sitting outside on the newly refinished deck. Out buildings,including shop and barn. Apple,Pear,Plum,Apricot and Peach trees. Very peaceful setting." 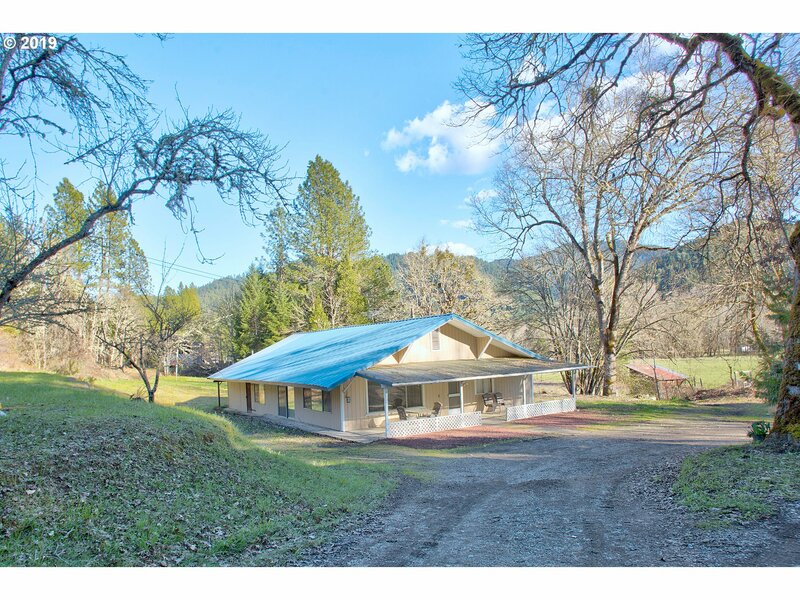 "So many possibilities with this large 3 bd, 2 bath home on 6.46 Acres. Built with beautiful wood beams. Patio in front and back. RV Parking with hookups. 40 x 40 Drive through Shop with heavy concrete floor. In ground lube pit next to the shop. Beautiful flat pasture land. Large fenced garden area. Small orchard. Land has been used to grow Hay. Good well per owner." "2 Homes 4 large bds,1 1/2 baths. 1 bd Guest house, with full bath,living room,& kitchen. Clean inside & out.Ready for all your personal touches.Front porch w/fireplace, Hardwood floors thru-out.New ductless heating pump.Fruit trees.Had a repair business here years ago. (Would have to check with county to see if still allowed)Seller is a licensed agent in the state of Oregon." "This home is adorable! 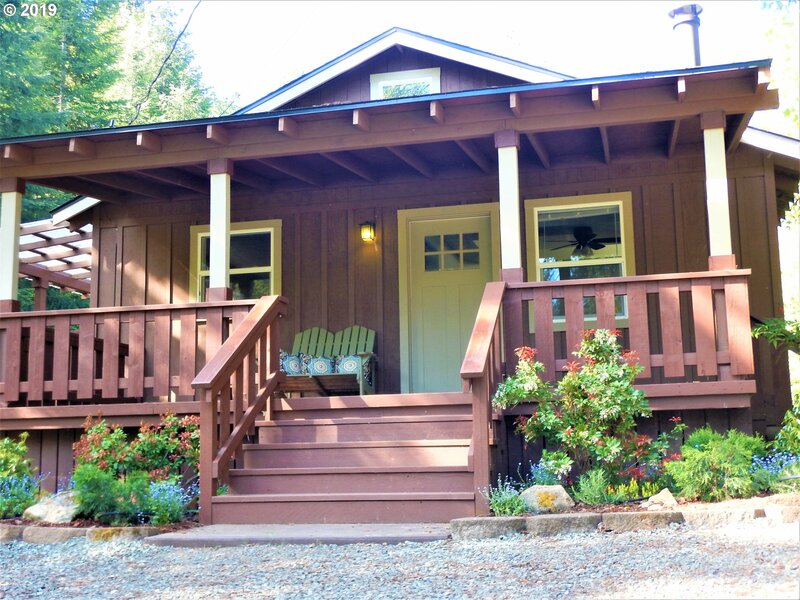 The property is flat and completely usable for anything you might need/want; RV parking, shop, garden, animals, so many options. Creek runs through the back of the property. Nice building for artist studio or ?. Greenhouse and storage shed. This home has a big master bedroom and walk in closet. Extra bonus space off the back for shop, craft room, man or woman cave, or finish it off for extra living space. This hom"
"Turn Key! Pride of Ownership! This Remodeled 2 bed 2 bath has everything your looking for: Granite counter tops, Wood floors, Cozy fire place, Double car garage on a Big Corner lot that feels very private and much much more! Make your appointment today to view this adorable home." "Country setting among the trees! 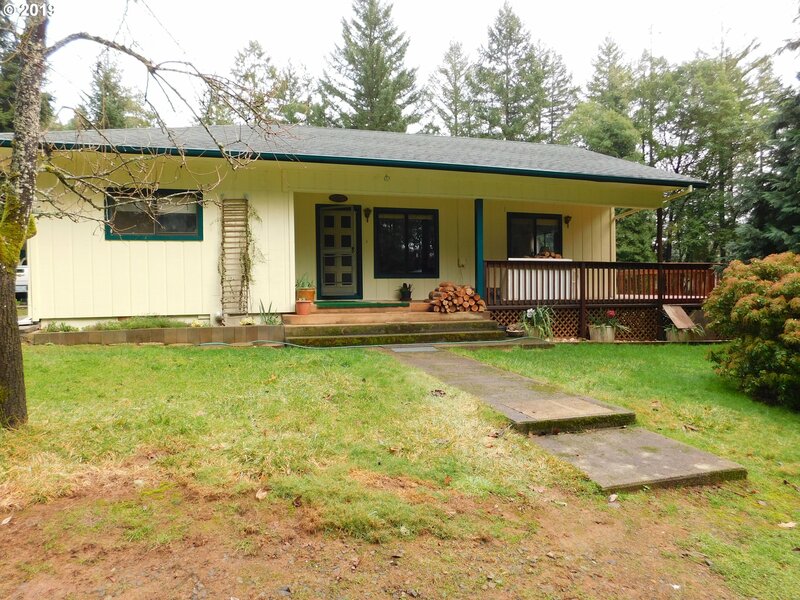 Here is a 2BR, 2BA home on 2 acres in Glendale area. 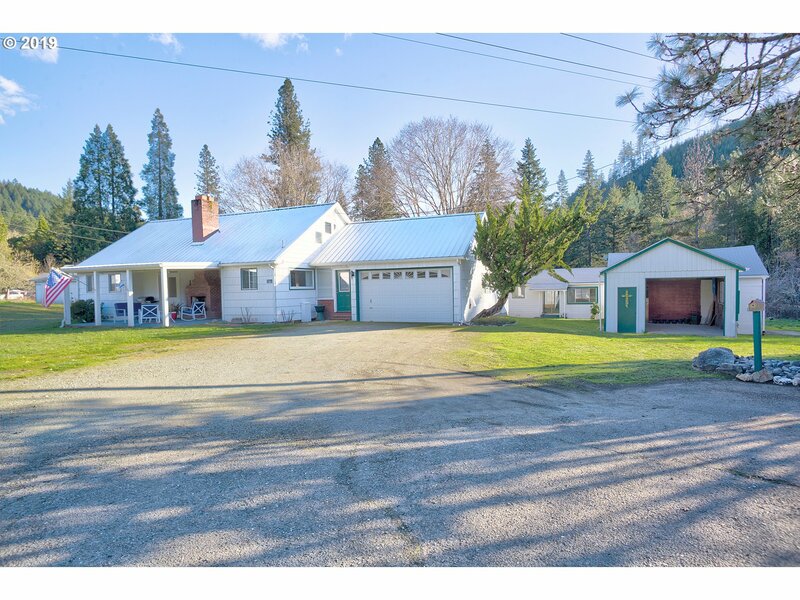 Newer detached garage with work space, an RV open carport, a detached storage building with elec. and another older garage bldg. New pellet stove, 2500 gal holding tank, and back up generator for peace of mind. Has RV dump and lots of room to park extra vehicles. Private setting and also has a gated entry." "This 3, possibly 4 bedroom home with 2 bathrooms and a detached 2 car garage has been exquisitely maintained and upgraded. Located in a quiet subdivision of Glendale (across the railroad tracks from the post office). Must come to see and appreciate this find. This property is worth looking at. *** You could assume the existing loan (approximately $100,000) plus $49,000 cash."